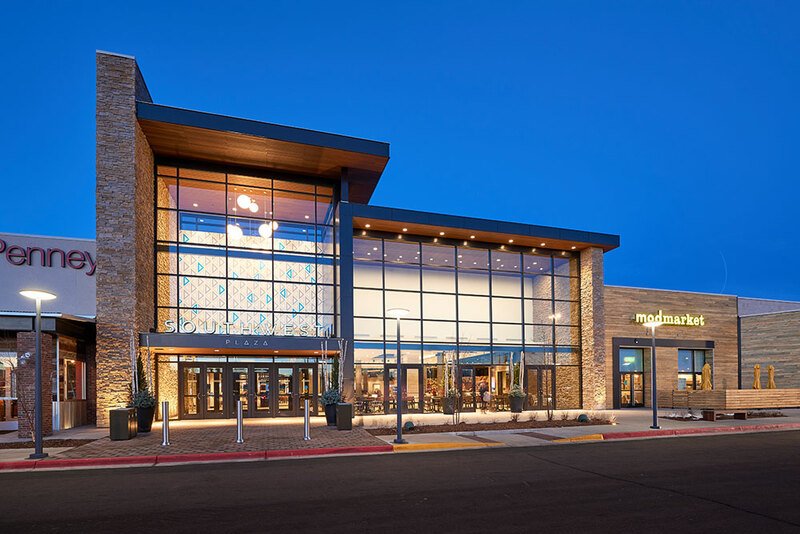 Southwest Plaza served as one of the largest and most significant regional shopping centers in the Denver area since opening its doors in 1982. 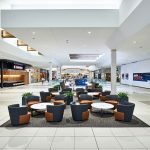 But time and the shifting of retail centers from traditional mall settings to more open air centers had robbed the Plaza of its clientele and many of its tenants. 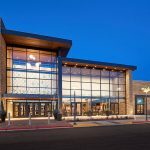 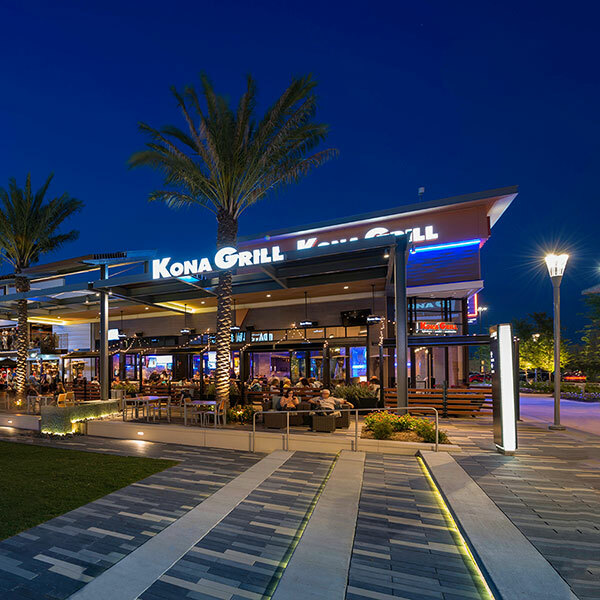 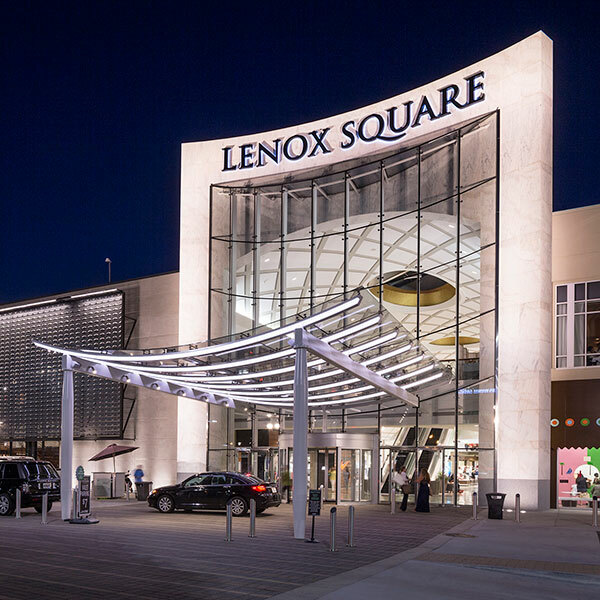 Rather than forsaking the property to these outside forces, the Owner engaged a design team to work with them to recreate the Plaza to recover shoppers lost to other shopping venues. 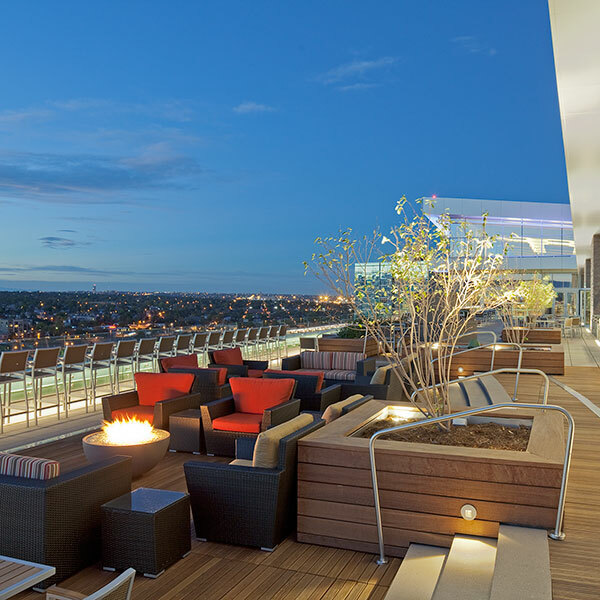 The Plaza needed refresh its look to symbolize the modern Colorado lifestyle. 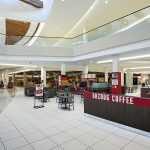 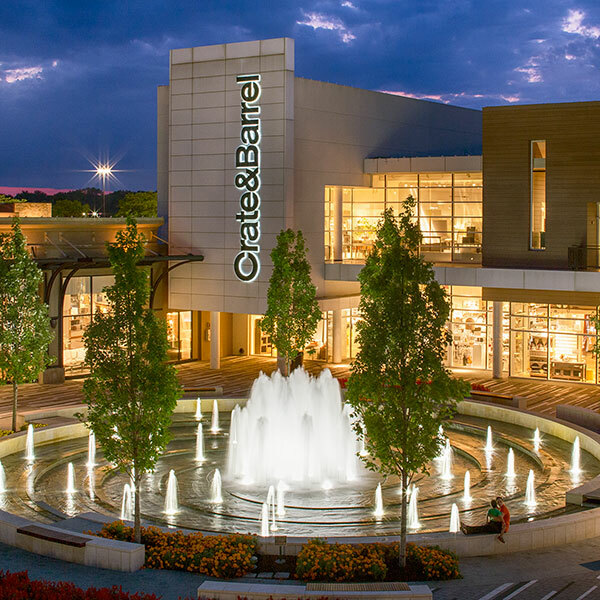 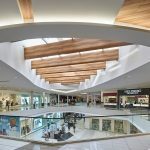 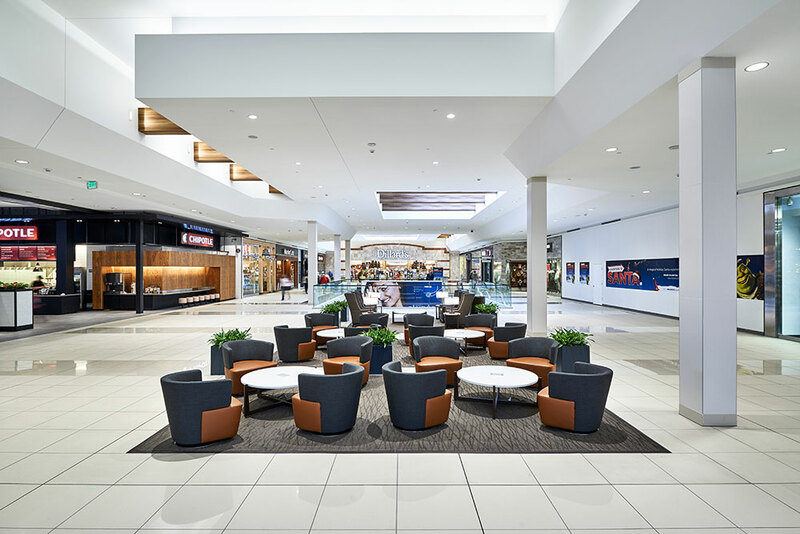 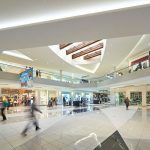 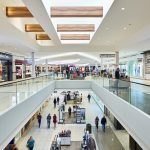 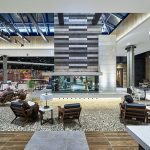 To accomplish this, the mall was completely gutted and redesigned with new ceilings, floors, skylights and lighting to introduce an elegant shopping experience that would appeal to the regional consumer. 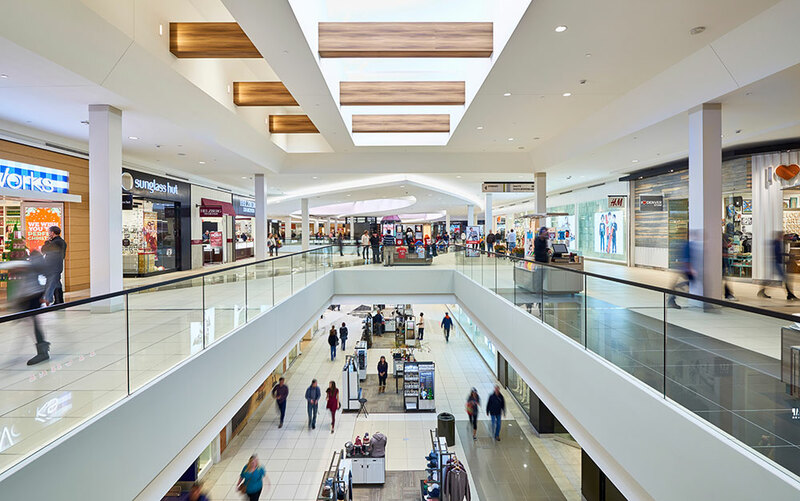 Ceilings were designed in sleek, contemporary yet timeless patterns featuring thin coves of light virtually drawing patrons from one end of the mall to the other. 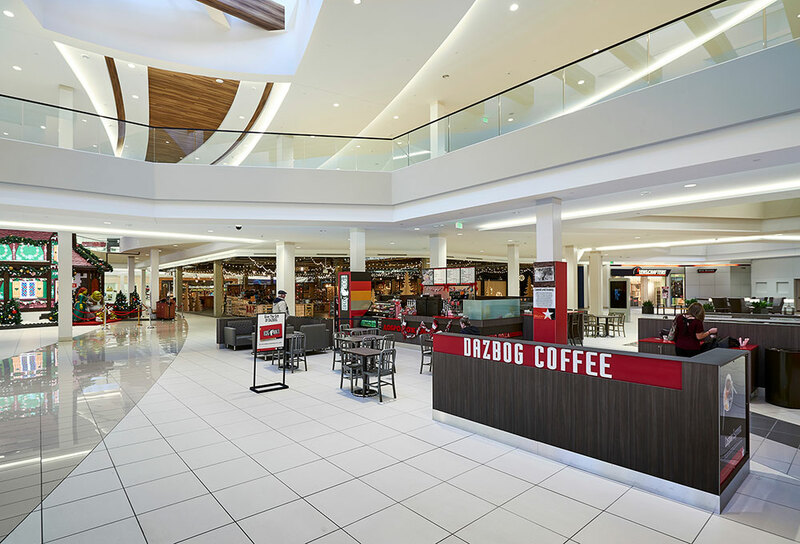 The center court was opened and featured new open air cafes. 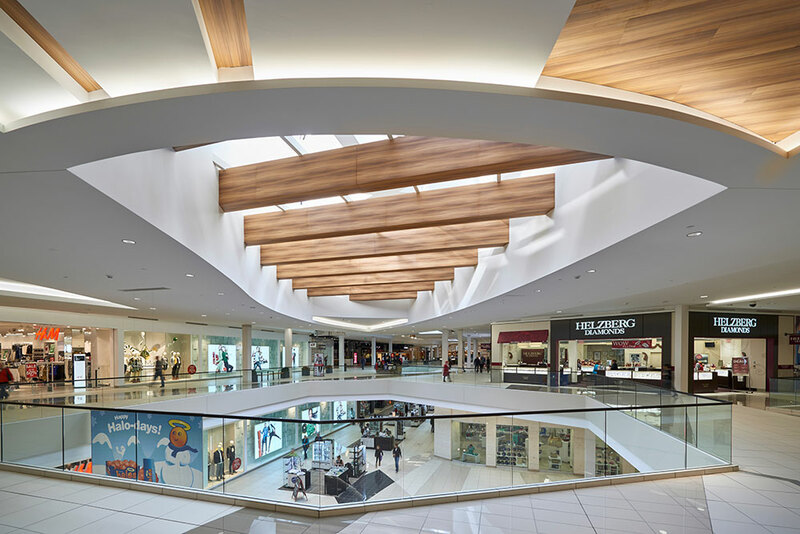 Skylights were added to enhancing the daytime environment within the mall. 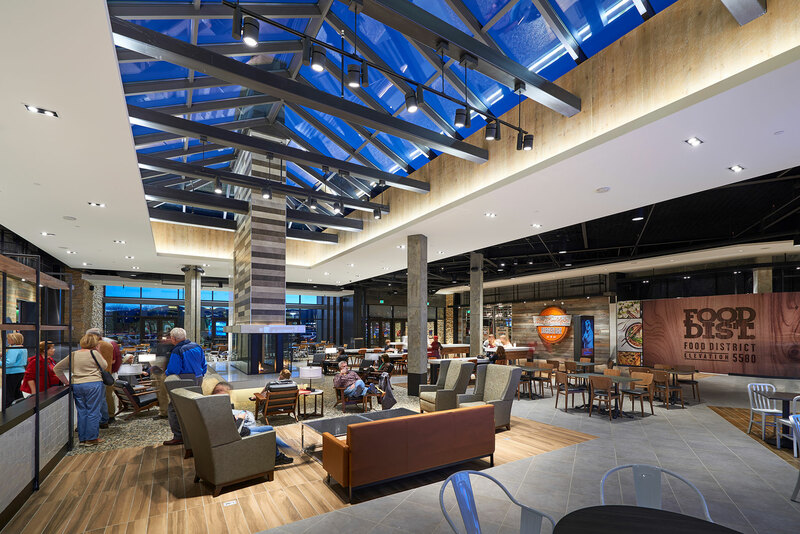 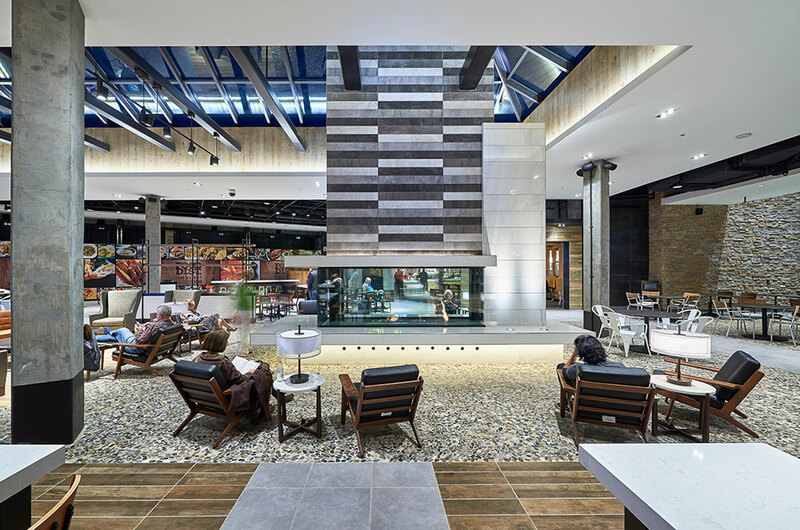 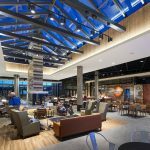 A new food court was added featuring a fireplace, conversation areas, and terraces with views to the mountains to the west and outside access to the mall and tenants provided. 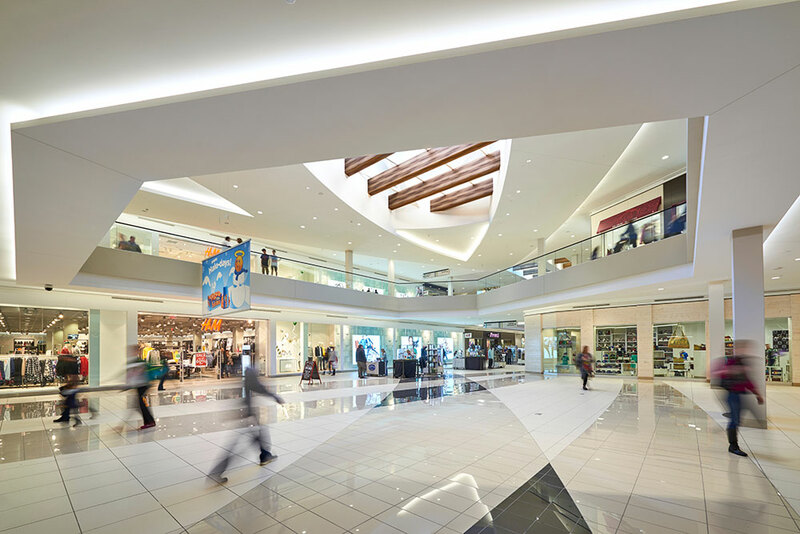 Careful integration of light for both function and decoration was adopted to enhance pedestrian views both within the space outward during daytime hours and to direct visitors to entrances during nighttime hours.